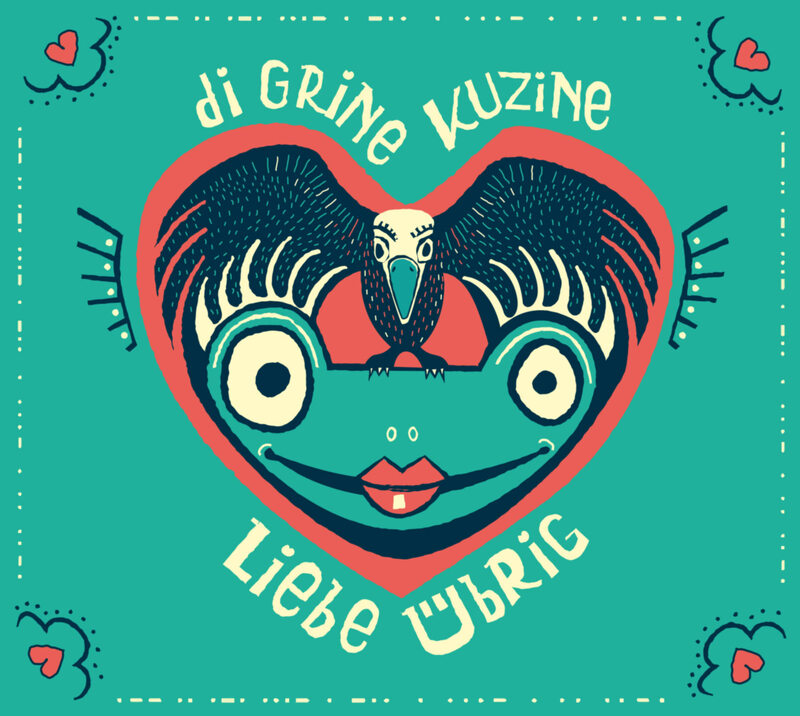 The beloved KUZINE – style will be heard on this new CD – “LIEBE ÜBRIG” = Love is left. Own songs (also in German) and instrumentals alternate with newly arranged pearls of the world music and will ensure a successful surprises. “Our children have grown up with your music”. This sentence was heard by the musicians around Frontwoman Alexandra Dimitroff in recent years, many times, when they were in front of old and new fans in Clubs, churches, cultural events, festivals and private events. This sentence tells the story of a long–standing band history of their music, which reached generations and not only because they once at some time in the wild 90’s more by chance than wedding and feast day band began, quickly became a secret tip and almost cult status in their genre, reached their scene, with all that belongs to it; loyal fans and imitators. across Europe. They were prize–winners in Berlin, at the biggest Folkfestival in Europe in Rudolstadt and often the audience favorites. From Ireland to Bosnia, from the Azores and Costa Rica, New Orleans, Ukraine, Poland, Belarus, Czech Republic and many other countries. ”Eastern Roots – Western Beats” have been faithful to this motto and outline of their repertoire and their way of playing, arranging and composing. To surprises and reliable elegance. Eastern Roots, are not only the songs in original languages ​​from many parts of Eastern Europe, to which Madame D. has a great affinity thanks to Bulgarian and yiddish roots and a musical family, but also the way to sing, to give herself completely to the music and the audience a bit Soul of their own. Touching by a special timbre of the voice which is unmistakable, from throaty to delicate girlish – always authentic. Western beats are not only the grooves that are often borrowed from the Latin music, but also the strict and refined arrangements that destinguishes the music of the KUZINE from the sometimes strained and subdued so called “Balkan and Klezmerscene and turned into high – class music, which is equally appreciated and loved by world music fans, from classical and jazz friends to all friends of good music. Blade sets, breaks in the right places, a fat tuba and a versatile drums provide next to accordion and the singing for listening pleasure and danceability. Surging beats, razor-sharp brass and the “stunning vocals of Alexandra Dimitroff” (Rolling Stone Magazine) are infused with an exuberant inner spark. This irresistible furore brings European clubs and festivals to the boil, for already more then 20 years.